A Professor of Political Science, Femi Otubanjo, has said that the impeachment move against Gov. 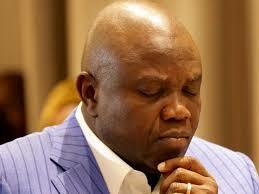 Akinwunmi Ambode of Lagos State might be a crucial error for the All Progressives Congress (APC). “Gov. Ambode has already been pushed aside by the party and the person that actually facilitated his becoming a governor. That is a major change of scenario. “Ordinarily, in a company when there is a loss of confidence in an officer and you tell such officer that you are not going to renew his job contract, the common practice is to ask him to leave immediately, otherwise that officer may become dangerous to the company. “He had about six to seven months from the time he was rejected by the party. “Of course, when you reject a man you don’t expect him to be happy or enthusiastic about your programmes and, in actual fact, you do not expect him to be loyal. “So, the lawmakers and the party are worried about the loyalty of Ambode and may think that the best way is to get rid of him through impeachment which makes sense. “But the problem is that everything is not about logic, sometimes politics defies logic. If you are removing the man, you should expect him to react,” he told NAN. “Unfortunately, this principle cannot be applied to a sitting governor who still has a term till May 29, about four months. “And from my point of view, Gov. Ambode has been fairly popular with the public. His rejection was not popular with the public. “I think that it would be a grave mistake for the lawmakers, from the point of view of popular sentiments to think that they will impeach Ambode and get away with it. Otubanjo said that if you were going to appeal to over 22 million residents and about five to six million registered voters, there was a danger in alienating the public. “And you never know, Ambode can fight back because he is still the governor and he can deploy resources for his own defence; he also has information that he can use to destroy or affect the chances of the APC.